Archer on Airguns: New Archer Airguns Universal Muzzle Brake for Airguns With 15mm Diameter Barrels. New Archer Airguns Universal Muzzle Brake for Airguns With 15mm Diameter Barrels. Just introduced is a new, improved muzzle brake from Archer Airguns, with two setscrews for more secure fixing. 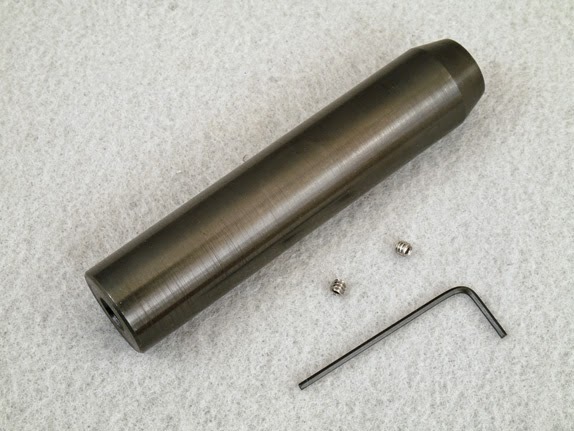 This universal muzzle brake is CNC-manufactured from solid steel with a deep blued finish. The length is 4-inches and outside diameter is 0.855-inches. Weight is approximately 6 ounces. It's supplied with 2 setscrews and a hex wrench. 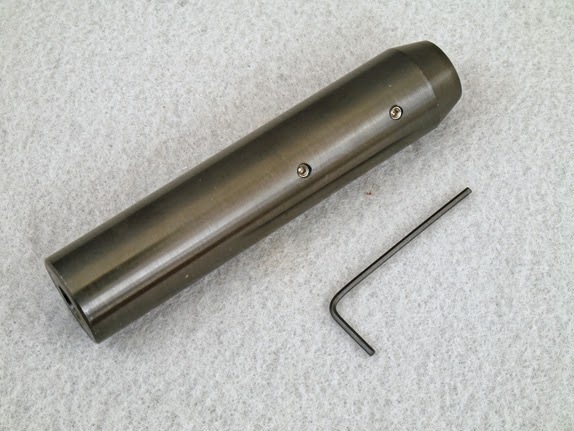 Apart from looking very cool, this muzzle brake usually makes a significant improvement in accuracy of an airgun by reducing barrel harmonics when the gun is fired. - Crosman Optimus, Quest and Phantom air rifles. Installation may require an existing front sight to be removed from the barrel, so it’s suitable for use only if a scope or red dot sight is fitted to the airgun. Many plastic sight assemblies can be removed by first backing-out the clamping setscrews (if fitted), carefully warming the part with a domestic hair dryer (NOT a heat gun) and driving off using a piece of soft wood as a drift. The Archer Airguns Universal Muzzle Brake is NOT a silencer or suppressor. It makes no change to the report of the airgun. It's in stock now for immediate shipment.